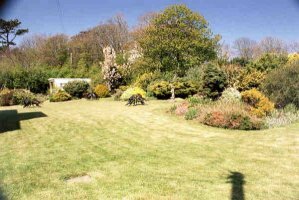 An early Victorian Sea Captains home, Llys Olwen was established in 1972 by the present owners Ann and David Middleton. 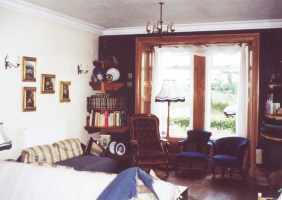 Over the years it has been tastefully restored featuring antiques sympathetic to the period of the house. The public rooms make full use of the original woodwork, reflecting the Victorian period with tapestries and floral decorations. 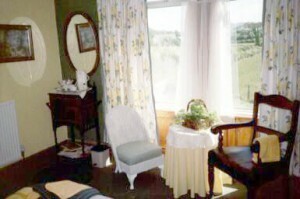 The bedrooms are comfortable, spacious and have countryside views. 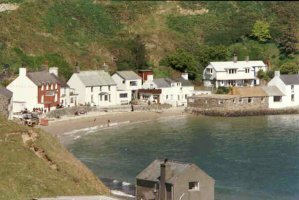 Llys Olwen stands in its own grounds approximately 500 metres from a beautiful cliff walk overlooking the two bays of Nefyn & Morfa Nefyn. 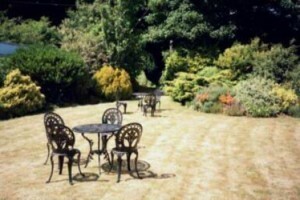 Our aim is to provide guests with the opportunity to unwind in a relaxed atmosphere whilst receiving excellent value for money. As an alternative to the full breakfast, a continental style of home made bread and preserves is available. We are pleased to cater for special diets on request. With over 180km of shoreline, the coast offers many opportunities for safe bathing, sailing, surfing, diving, and fishing. Pwllheli has one of the finest yachting venues in Western Britain. At Llys Olwen we have information and maps of walks on the Lleyn, so that you can explore hideaway coves or ramble along coastlines protected by the National Trust. For the more experienced walker the mountains offer a challenge not to be missed. There are three golf courses and a range nearby . 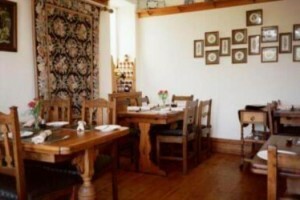 We have now added three more courses, Criccieth, Abersoch & Caernarfon. Reduced golf fees and tee off times can be arranged when booked with accommodation.